Hey all! Back again with even more cat facts to wow and amaze you! Today I am going to be sharing some amazing Birman cat facts that you may not know! If you have a Birman you know how stunning these beautiful cats are. I really think the Birman cat breed looks very similar to a Siamese cat, just fluffier. The Birman cat breed has a really unique story. According to legends, the Birman breed is descended from a temple cat that belonged to a priest in ancient Burma. When he was attacked by thieves and was laying there dying, his Birman cat kept him company. It is said that the Birman breed got that gold tint to their coats, and the eyes a deeper color of blue because the priest blessed the cat. Who knows if the legend is true or not, it is a neat backstory to tell. The Birman nearly was extinct around World War II era. The reports say there was only one breeding pair left in the country and then it slowly began building up a bloodline. Thankfully, they made their way and you can now find them everywhere. According to the CFA, the Birman cat didn’t make their way into the US until the late 1950’s. The Himalayan and Birman breeds look so much like each other and often can be mistaken for the other. They both have that long, dark hair with blue eyes. Himalayans have more of a flat face, where Birmans have a more defined and pointed nose. They are very laid back and loving cats, and they have a very gentle meow. They might talk a lot but they have a very loving and endearing meow that makes their owners smile each time they make noise. 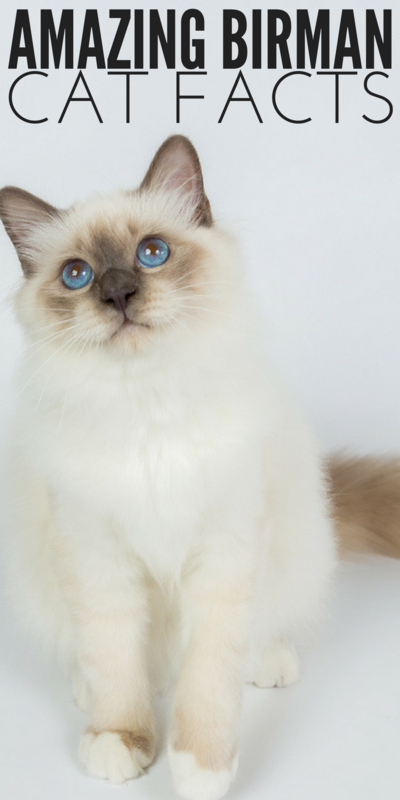 Although Birman kittens are born with all white fur, as they age they begin to show darker colors on their coat. You would think with that long fur it would mat and be troublesome. But they don’t mat much at all, and a simple brushing at least once a week is all that is required. 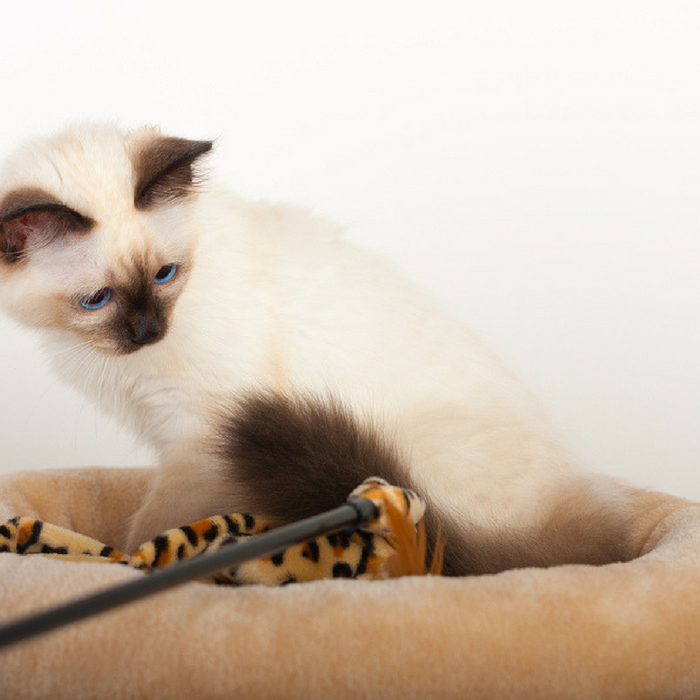 The Birman breed loves to have company around, whether that be their owner or other cats. They don’t like being alone and prefer to be social with people and other cats. Do you own a Birman? If so, what is your precious cat’s name? Cat 101: What Human Foods Can Cats Eat Safely?